I was swept into both the mystery and the bizarre spectacle of The Masked Singer’s premiere. Between the ornate costumes and the mysteries they held, it was a riot of unexpected weirdness that temporarily made me forgive the weak spots, which are literally everything else about the Fox show. When I wasn’t able to watch the second episode live and read about who was unmasked before watching, I promptly deleted the episode from my DVR. There was no reason to watch anymore: The singing isn’t that good, nor is the judging. There are precisely two reasons to watch: to revel in the costumes, and to find out which quasi-celebrities are underneath them. The mystery offered by The Masked Singer is truly everything. After seeing the costumes and knowing who the singers are, the episodes are a waste of time. That’s mostly because of choices Fox made in adapting King of Mask Singer, the South Korean series that gave birth to this format. In a second season, should one materialize, The Masked Singer needs to take a closer look at that source material and embrace what about it works — a joyful, live, nationwide guessing game — and ditch the rest. Here are five things the show can do to become its best self. 1. Use the South Korean format and turn this into a two-night live event. In South Korea, the show moves more rapidly: It’s structured as a tournament that lasts for two episodes and starts with eight celebrities. In round one, two masked singers perform the same song, one of whom is eliminated by votes from the studio audience and the judges. In round two, the four winners face off, each singing their own songs, and then the winners of those battles face off in round three. The winner moves on to round four, where they take on the Mask King, the previous tournament’s winner. When a singer loses at any point, they take off their mask immediately. As American networks often do, Fox went astray in adapting the show, making a number of ill-advised changes — from having the contestants sing different songs (making it harder to compare them) to using the standard American singing competition format, dragging out the reveals of 12 celebrities across ten episodes. That’s just too slow. 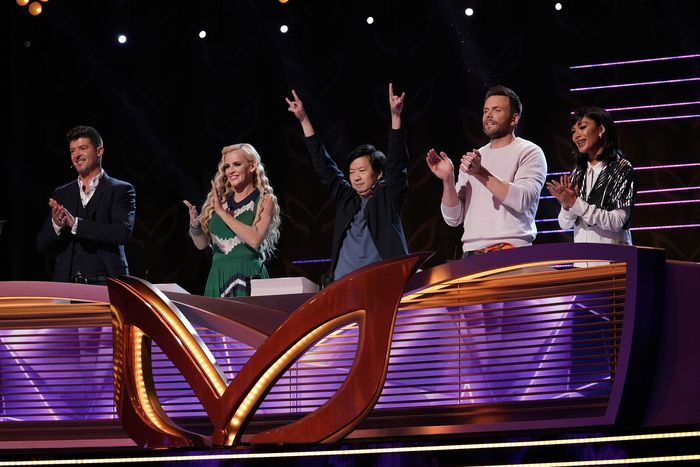 A completely open-ended competition like King of Mask Singer’s, with a winner who could theoretically stick around for weeks or months, may not have worked in the context of an American broadcast network. But the original format would work as a two-night — or even just two-hour — special that airs periodically. 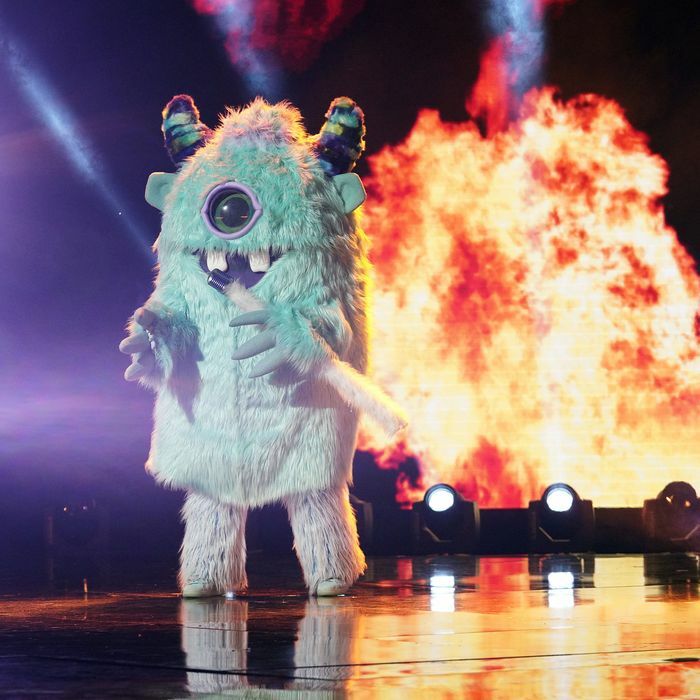 Air it live, and capitalize on the social-media fervor around the show, which was strongest on night one, before super-obvious clues (“It’s gonna be me,” said the Rabbit, strongly suggesting he was a former member of ’N Sync) gave way to a consensus among those who watch together online. At the end, maybe the winner remains behind their mask until the next competition, or maybe they’re unmasked, too. 2. Dump the judging panel — or at least let the judges do more. The Masked Singer judges — Ken Jeong, Jenny McCarthy, Nicole Scherzinger, and Robin Thicke — set the tone of the series, both because they’re apparently the best Fox could manage to get, and because they serve no useful function at all. Perched high in the back of the studio, they watch the prerecorded clue packages and the performances while shouting nonsensical non-possibilities. Meghan Markle! Barack Obama! Please. A kitten stepping on a keyboard would have more coherent guesses than the panelists, who have the misfortune of having to do that in front of cameras instead of from the safety of their living rooms. If the goal is to just throw out names, why not just have a scroll of guesses from Twitter on an LED screen in the studio? If there must be judges, they need to offer actual, useful analysis. King of Mask Singer allows its judges to talk to the singers after each battle, and while there’s a bit of back and forth in the Fox version, allowing the judges to ask multiple questions (yes or no? true or false?) would justify their presence. 3. Cast actual singers, or celebrities who can actually sing. The Masked Singer should have actual singers under masks, like the South Korean version does. (Ryan Reynolds’s viral appearance in a Unicorn mask on King of Mask Singer was just a fun opening act; he wasn’t a real contestant.) It’d also be fine to cast actors, athletes, or other celebrities who can actually sing, and thus shock us when they’re unmasked. But it’s painfully obvious which of The Masked Singer’s contestants are singers and which are Tommy Chongs or Terry Bradshaws, and that obviousness turn the early episodes into more of a slog. 4. Keep the magnificent costumes. Marina Toybina’s costumes are haunting, wild, and absolutely the best part of the show. They’re each instantly identifiable by a single noun — Deer, Monster, Pineapple — but that undersells how richly elaborate they are. She’s pulling inspiration from fashion and pop culture to create comical, unnerving, and sometimes comically unnerving characters that are interesting to look at and effectively conceal their occupants. Toybina has previously won Emmys for her costuming on So You Think You Can Dance, The Voice, and the Super Bowl XLIX halftime show — you know, the one with Katy Perry and Left Shark. She should win one for The Masked Singer, too, because her work is the highlight of the series. 5. Do something else with the unmasked singers. After the loser is unmasked at the end of The Masked Singer, they’re given time to refresh their makeup and hair, so the reveal is more photogenic and less sweaty, and then host Nick Cannon asks a perfunctory question or two. But there’s no attempt at trying to understand anything: Why this costume? Why that song? Why appear on this ridiculous show at all? I’m not asking for a Barbara Walters interview, but these are basic things that viewers deserve to know! Then the eliminated celebrity sings again. Why? Why would we want to hear the worst singer again? That approach might make sense on American Idol, giving someone one last moment in the spotlight. And King of Mask Singer has those eliminated in round one sing a second song, and reveal their identities during that song, which works for singers who can sing. Not here, not when the singing was pretty terrible. Without the protection of the mask and mystery, the only thing that final song reveals is that The Masked Singer didn’t have much to offer at all.